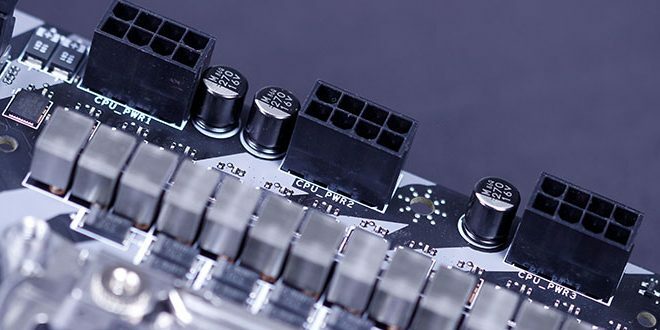 The MSI MEG X299 Creation pulls some respectable results as you must remember that the HEDT chip is clocked significantly lower than the 9900K which is the only other comparison on the chart at this time. WPrime is where you can see the HEDT platform strut its stuff. 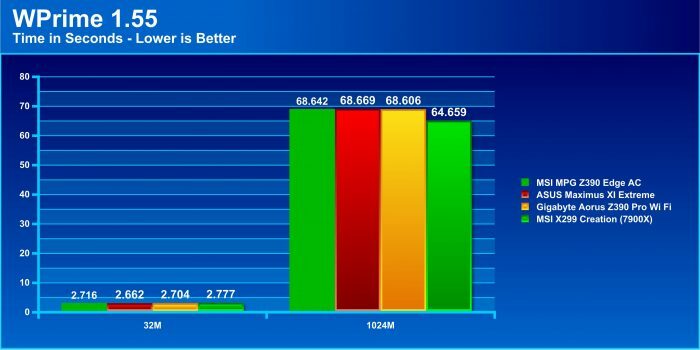 Sporting a mere two cores more than the 9900K it still can pull a decent lead over the smaller sibling. 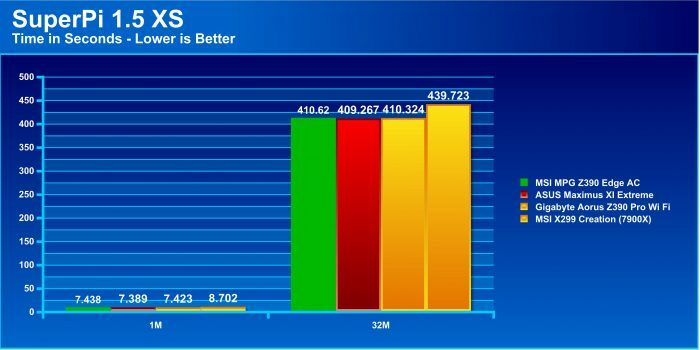 You will notice in the shorter test the results are close, and that’s a testament to the overall raw power of the little 9900K.